There’s rarely been a better time to obtain a charitable gift annuity from Saint Leo University. Low interest rates and roller coaster markets are causing people to think twice about their financial decisions, and to consider the seven benefits of Saint Leo University’s charitable gift annuity program. Regular Payments. When you establish your gift annuity, you decide how often you want to receive your payments. While most annuitants receive their checks or direct deposits every quarter, some choose semiannual payments and some once-a-year payments. Those who qualify can select monthly payments if they wish. Whatever you choose, receiving your regular payments on a specific, predetermined date is comforting and also helpful for planning purposes. Fixed Income. Your payment rate will be locked in at the time you obtain your gift annuity. It will not rise or fall with the economy. Instead, it will be the same amount every year — and that can mean a lot in uncertain times. Lifetime Benefit. Gift annuities are for life. No matter what your age as an annuitant or how long you live, your payments will continue right to the very end. And if you have a two-life gift annuity, when one person dies, the other can continue to receive the same amount for the rest of his or her life. This benefit of ongoing payments can provide security for each spouse as they enter their older years. Dependable Source. Saint Leo University stands behind all of our gift annuities. We have a reserve fund set aside to meet our obligations and, what’s more, we back up our annuity obligations with the full financial assets of our organization. We want you to feel safe and secure and to have confidence that your payments will continue without fail. Relief From Taxes. 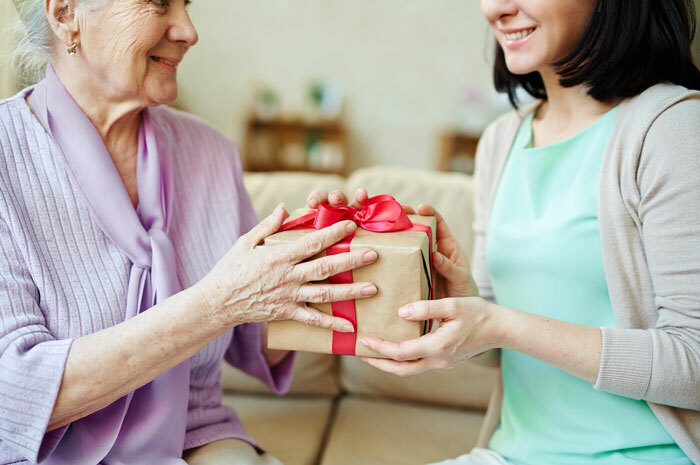 Since part of your contribution for a gift annuity is considered a charitable gift by the IRS, you will receive an income tax charitable deduction to apply on an itemized return. Also, during your life expectancy, you will be able to claim part of the annuity payment as tax-free income. Simple Process. Obtaining a gift annuity from Saint Leo University is much easier than most people think. We provide you with a tailor-made illustration so you can see how it all works with your age and contribution amount included. We provide materials you can share with your family and advisor(s). For your personalized gift illustration, please click here and submit your information. All information is used for illustration purposes and will remain private. *Note: Rates are slightly lower when the annuity is for two persons. Also, like most charities, Saint Leo University uses the rates recommended by the American Council on Gift Annuities. Rates are current and subject to change.